Johnny Scott vaulted to victory in a war of the VanderBuilts Sunday night at the Upper Iowa Speedway in Decorah, Iowa, leading the final 21 of 40 laps to score his second trophy in the USMTS Nordic Nationals presented by Weis Buick GMC. Zack VanderBeek—the purveyor of the one-year-old VanderBuilt Race Cars chassis company—took off from the pole and set the pace for the first ten laps before Stormy Scott showed his fellow front-row-starting teammate a faster way around the 3/8-mile dirt oval. Johnny Scott, who started third, steered his VanderBuilt around VanderBeek two laps later and began to pressure his elder twin brother, eventually powering by on the high side of turn two to take the lead for good just past the halfway mark. The $2,850 triumph marked the 34th career USMTS feature win for Johnny Scott, breaking a tie with 2007 USMTS national champ Jason Krohn and leaving him two wins shy of tying Jon Tesch’s 36-win mark. VanderBeek, who collected his first of 45 career wins here during his rookie campaign in 2005, wound up second Sunday night while Lucas Schott got by Stormy Scott for fourth. Dereck Ramirez raced from 16th on the grid to finish fifth, earning both the Eibach Spring Forward Award and FK Rod Ends Hard Charger Award. Two-time USMTS national champion Rodney Sanders was sixth, Saturday’s winner Dustin Sorensen wound up seventh, points leader Jake O'Neil earned an eighth-place paycheck, Jacob Bleess advanced ten positions to claim ninth and and Josh Angst rounded out the top ten. In the points battle that will pay the 2018 USMTS national champion a whopping $50,000 this year, O'Neil continues to sit at the top, clinging to a 21-point cushion (1286 to 1265) over Johnny Scott. Schott sits third with 1210 markers, followed by Stormy Scott (1199), Sanders (1198), VanderBeek (1185), Ramirez (1178), Terry Phillips (1138), Jake Timm (952) and Joe Duvall (924). Johnny Scott (1st) makes the winning pass around the outside of his twin brother, Stormy Scott, during the USMTS main event on Sunday, May 27, at the Upper Iowa Speedway in Decorah, Iowa. The USMTS Hunt for the Casey’s Cup powered by Summit returns to action Thursday, Friday and Saturday, June 7-9, for a three-night Sunflower State showdown. 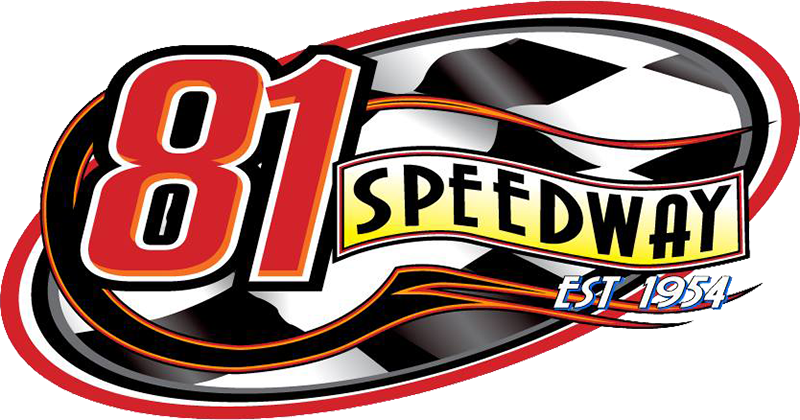 On Thursday, the series returns to the 81 Speedway in Park City, Kan., and then Friday finds the sultans of speed at the Dodge City Raceway Park in Dodge City, Kan., for the first time since 2004. The weekend wraps up on Sunday with the legion of zoom strafing the Salina Speedway in Salina, Kan., for the second straight season. It all leads up to the Modified Masters and the second Crown Jewel event of the USMTS campaign on Thursday, Friday and Saturday, June 14-16, at the Cedar Lake Speedway in New Richmond, Wis. Showing finishing position, starting position in parentheses, car number, driver, hometown, chassis/engine builder, laps completed and money won. The top 16 in heat race passing points advanced to the Casey’s General Stores “A” Main with the top 8 redrawing for the first 8 starting spots. 1. (2) 1m Curt Myers, Cameron, Wis.
3. (1) 91 Shawn Ryan (R), Waterloo, Iowa. 4. (4) 23 Logan Robertson, Shamrock, Texas. 6. (7) 49jr Jake Timm, Minnesota City, Minn.
7. (8) 99 Josh Angst, Winona, Minn.
8. (6) 51 Blake Arndt (R), Brownsdale, Minn.
9. (9) 56h Brandon Hare (R), Elma, Iowa. 1. (1) 0 Jake O'Neil (R), Tucson, Ariz.
2. (2) 19 Dustin Sorensen (R), Rochester, Minn.
3. (5) 1st Johnny Scott, Cameron, Mo. 4. (7) 19r Ryan Gustin, Marshalltown, Iowa. 5. (3) 75 Terry Phillips, Springfield, Mo. 6. (8) 4r Dereck Ramirez, Woodward, Okla.
8. (4) 21 Jacob Bleess, Chatfield, Minn.
DNS – 91 Joe Duvall, Claremore, Okla.
2. (2) 2s Stormy Scott, Las Cruces, N.M.
3. (7) 20 Rodney Sanders, Worthington, Minn.
4. (5) 55 Cory Mahder, Eau Claire, Wis.
5. (8) 07 Cory Crapser, Chippewa Falls, Wis.
6. (3) 111jr Keith Tourville (R), Janesville, Minn.
7. (4) 18 Mick Glenn, Minnesota City, Minn.
8. (6) 23b Brett Bumgardner (R), Hawkeye, Iowa. 1. (1) 49jr Jake Timm, Minnesota City, Minn.
2. (3) 99 Josh Angst, Winona, Minn.
3. (7) 21 Jacob Bleess, Chatfield, Minn.
4. (2) 111jr Keith Tourville (R), Janesville, Minn.
5. (9) 56h Brandon Hare (R), Elma, Iowa. 6. (5) 18 Mick Glenn, Minnesota City, Minn.
7. (6) 51 Blake Arndt (R), Brownsdale, Minn.
8. (8) 23b Brett Bumgardner (R), Hawkeye, Iowa. 9. (4) 8c Chris Clark, Jackson, Wyo. 1. (3) 1st Johnny Scott, Cameron, Mo., VanderBuilt/Durham, 40, $2850. 2. (1) 33z Zack VanderBeek, New Sharon, Iowa, VanderBuilt/Sput’s, 40, $1825. 3. (4) 69 Lucas Schott, Chatfield, Minn., MBCustoms/Hill, 40, $1300. 4. (2) 2s Stormy Scott, Las Cruces, N.M., VanderBuilt/Mullins, 40, $995. 5. (16) 4r Dereck Ramirez, Woodward, Okla., Hughes/Cornett, 40, $890. 6. (6) 20 Rodney Sanders, Worthington, Minn., MBCustoms/Hatfield, 40, $785. 7. (5) 19 Dustin Sorensen (R), Rochester, Minn., MBCustoms/Action, 40, $450. 8. (8) 0 Jake O'Neil (R), Tucson, Ariz., LG2/Cornett, 40, $680. 9. (19) 21 Jacob Bleess, Chatfield, Minn., MBCustoms/Sput’s, 40, $375. 10. (18) 99 Josh Angst, Winona, Minn., MBCustoms/Sput’s, 40, $350. 11. (15) 75 Terry Phillips, Springfield, Mo., GRT/Durham, 40, $600. 12. (13) 23 Logan Robertson, Shamrock, Texas, MBCustoms/Knowles, 40, $375. 13. (14) 23 Adam Kates, Tonganoxie, Kan., VanderBuilt/Speedway, 40, $350. 14. (20) 111jr Keith Tourville (R), Janesville, Minn., Player/MAS, 40, $250. 15. (24) 23b Brett Bumgardner (R), Hawkeye, Iowa, SSR/Midnight, 40, $250. 16. (21) 56h Brandon Hare (R), Elma, Iowa, Skyrocket/ChevPerf, 40, $250. 17. (22) 18 Mick Glenn, Minnesota City, Minn., Skyrocket/JRM, 40, $200. 18. (10) 91 Shawn Ryan (R), Waterloo, Iowa, DirtHustler/King, 40, $250. 19. (17) 49jr Jake Timm, Minnesota City, Minn., MBCustoms/Sput’s, 40, $450. 20. (9) 19r Ryan Gustin, Marshalltown, Iowa, Hughes/TriStar, 40, $250. 21. (7) 1m Curt Myers, Cameron, Wis., Hughes/Sput’s, 40, $250. 22. (23) 51 Blake Arndt (R), Brownsdale, Minn., GRT/KSE, 40, $250. 23. (25) 8c Chris Clark, Jackson, Wyo., GRT/Cornett, 40, $250. 24. (12) 07 Cory Crapser, Chippewa Falls, Wis., MBCustoms/Troy’s, 40, $250. 25. (11) 55 Cory Mahder, Eau Claire, Wis., MBCustoms/Powerline, 40, $250. Lap Leaders: VanderBeek 1-10, S. Scott 11-19, J. Scott 20-40. Total Laps Led: J. Scott 21, VanderBeek 10, S. Scott 9. Margin of Victory: 0.630 second. Time of Race: 24 minutes, 17.919 seconds (4 cautions). Eibach Spring Forward Award: Ramirez (advanced 13 positions). FK Rod Ends Hard Charger: Ramirez (started 16th, finished 5th). Next Race: Thursday, June 7, 81 Speedway, Park City, Kan.
USMTS Hunt for the Casey’s Cup Points: O'Neil 1286, J. Scott 1265, Schott 1210, S. Scott 1199, Sanders 1198, VanderBeek 1185, Ramirez 1178, Phillips 1138, Timm 952, Duvall 924. Grant Junghans USMTS Rookie of the Year Points: O'Neil 1286, Carlos Ahumada Jr. 760, Zane Ferrell 692, Billy Vogel 610, Lance Mari 529. USMTS Engine Builder of the Year Points: Durham 140, Cornett 120, Sput’s 119, Mullins 100, Hatfield 99. USMTS Manufacturers Championship Points: VanderBuilt 160, MBCustoms 157, GRT 118, Hughes 115, LG2 113. Beyea Custom Headers – Glenn. Casey’s General Stores – O’Neil, Schott. Forty9 Designs – Tourville, Timm. GRT Race Cars – Phillips. Integra Shocks & Springs – Ryan. Jerovetz Motorsports Racing Parts – Bumgardner. Mesilla Valley Transportation – Robertson. Out-Pace Racing Products – Hare. Simpson Performance Products – Myers. Swift Springs – J. Scott, Hare. Wehrs Machine & Racing Products – Ramirez. Wilwood Disc Brakes – Sorensen.